The second I saw the 2018 Kona Cotton Color of the Year, I started scheming for which quilt I’d like to use it. 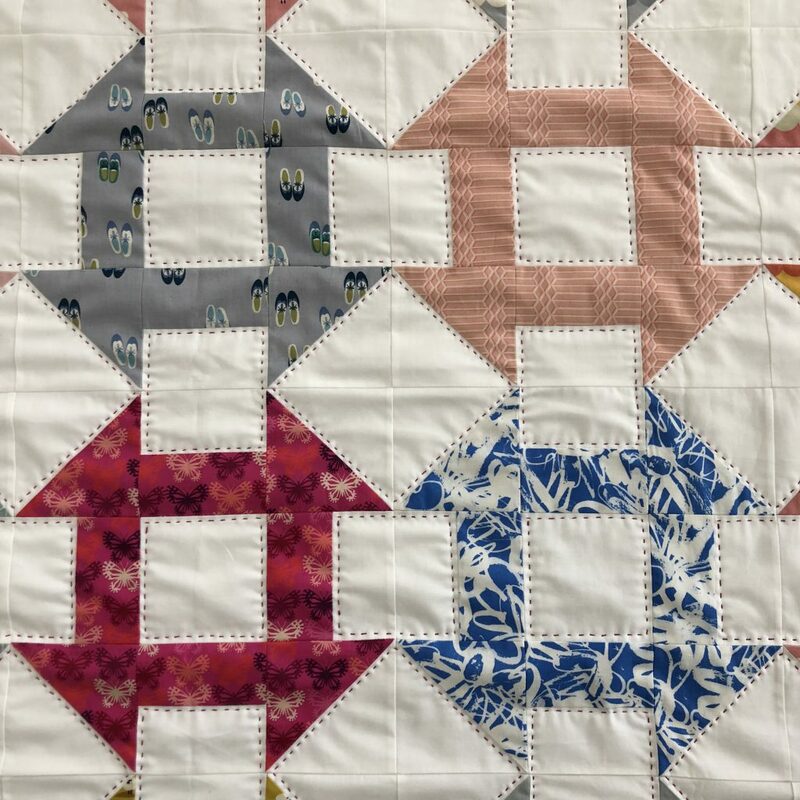 I LOVE the challenge of using such bold, saturated hues and helping them fit harmoniously into a quilt pattern as if they were made for each other. 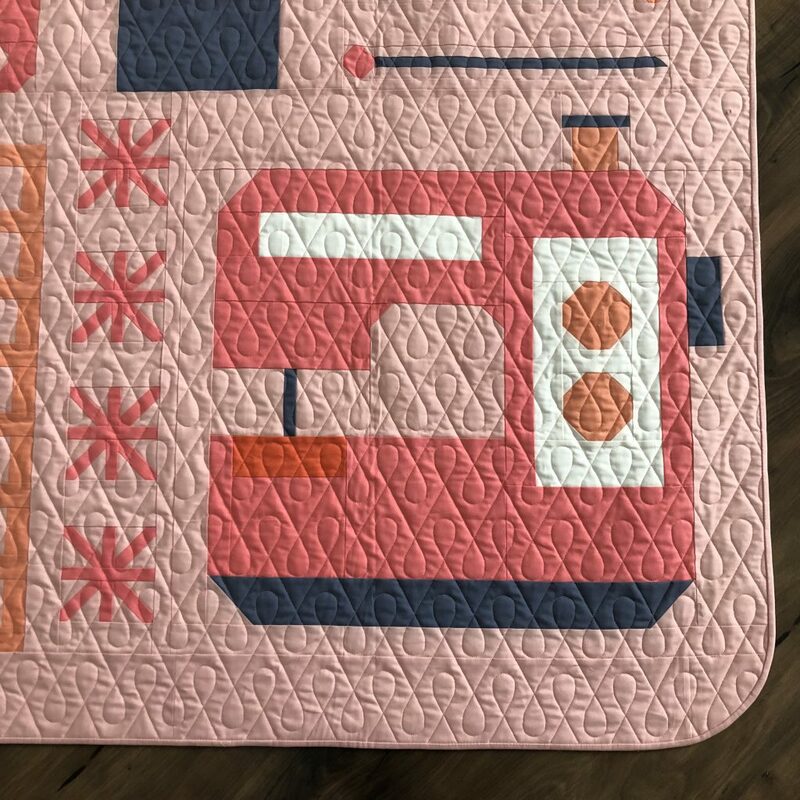 Last year, I made my adorable Garden Snails quilt using Pink Flamingo and this year, I decided on Alison Harris of Cluck Cluck Sew’s Pumpkins Quilt. 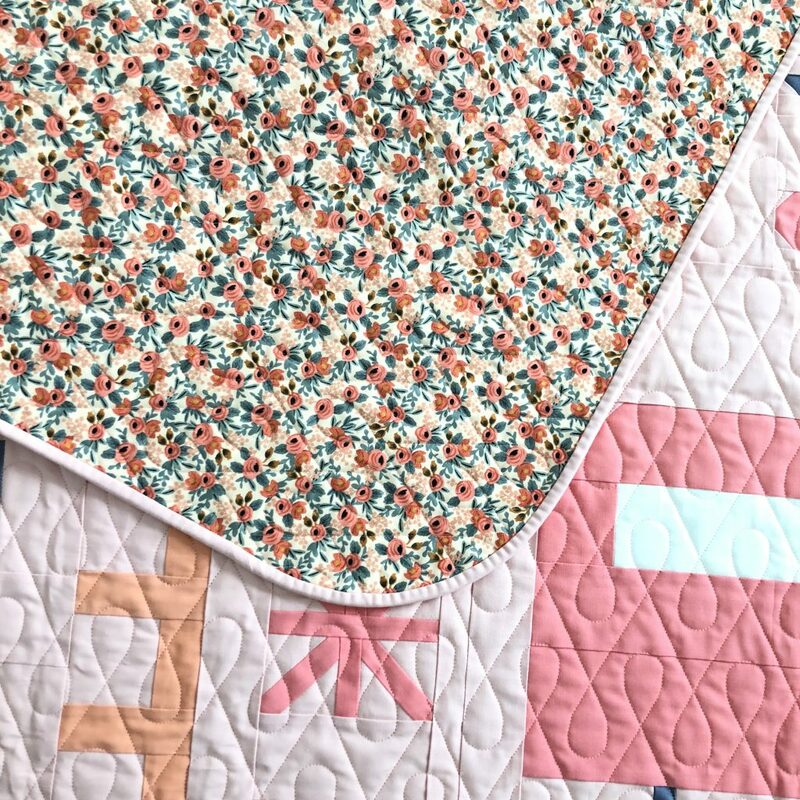 Tiger Lily is sooooo gorgeous and perfect for this quilt. Since I chose to only make the non-patchwork pumpkins, this came together super quickly. 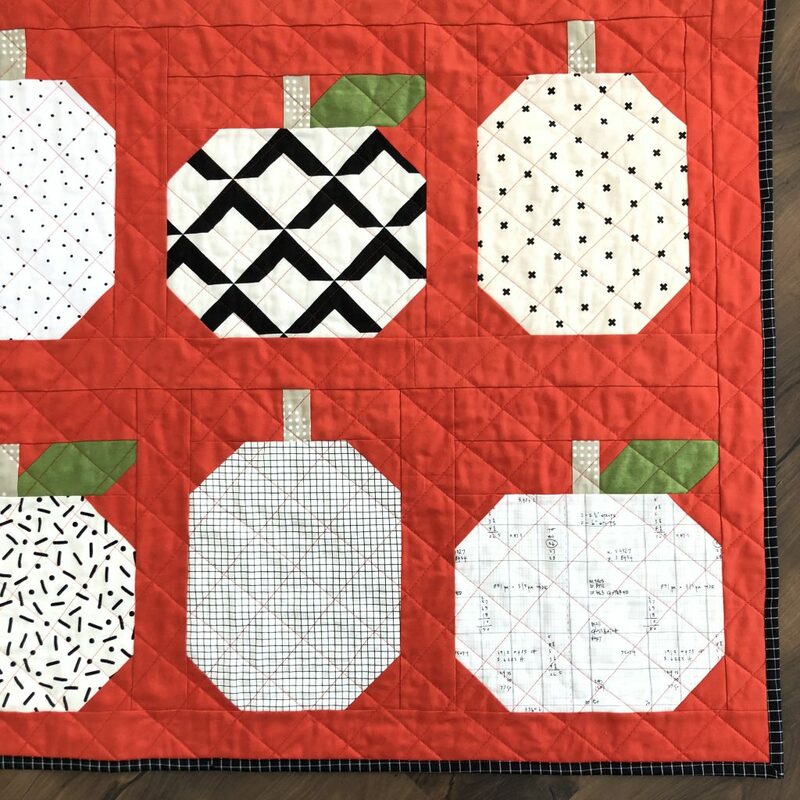 I decided to quilt it in a 2″ crosshatch pattern using a matching orangey red thread and bound it in a fun black checker print. 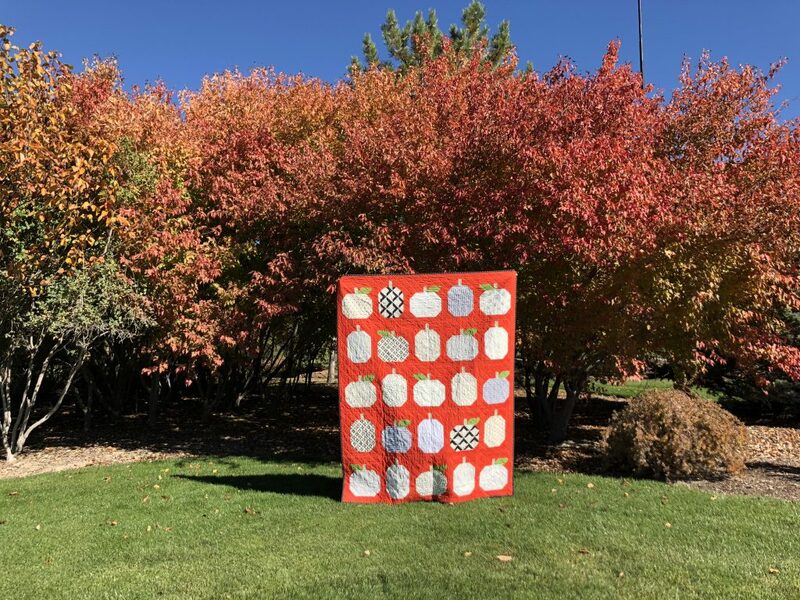 My sweet husband was such a good sport (as he always is) when I wanted a staged fall photo with this quilt. We carried this quilt in a back pack as we looked for the perfect spot. I’m happy to say we found it and I love the setting with the beautiful fall tree. 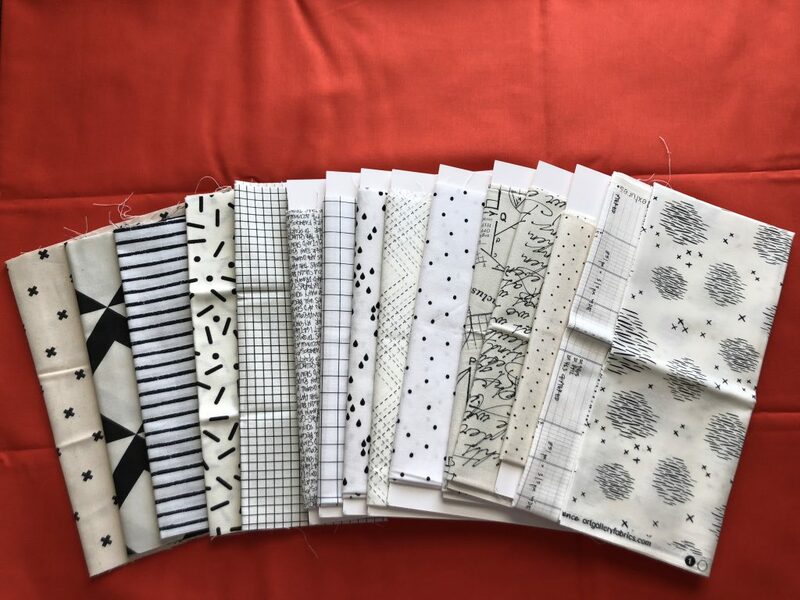 In July of 2017, Lindsey of Pen and Paper Patterns announced her Sewology Block of the Month. I bought her pattern immediately and then to my utter delight, there were different colorways suggested and this gorgeous pink and orange version caught my eye. I figured it would be something that not many people would choose. It also uses my favorite Kona cotton color, Pink Flamingo. It is THE perfect pink. I fell behind a few times during the year, but finished on time. 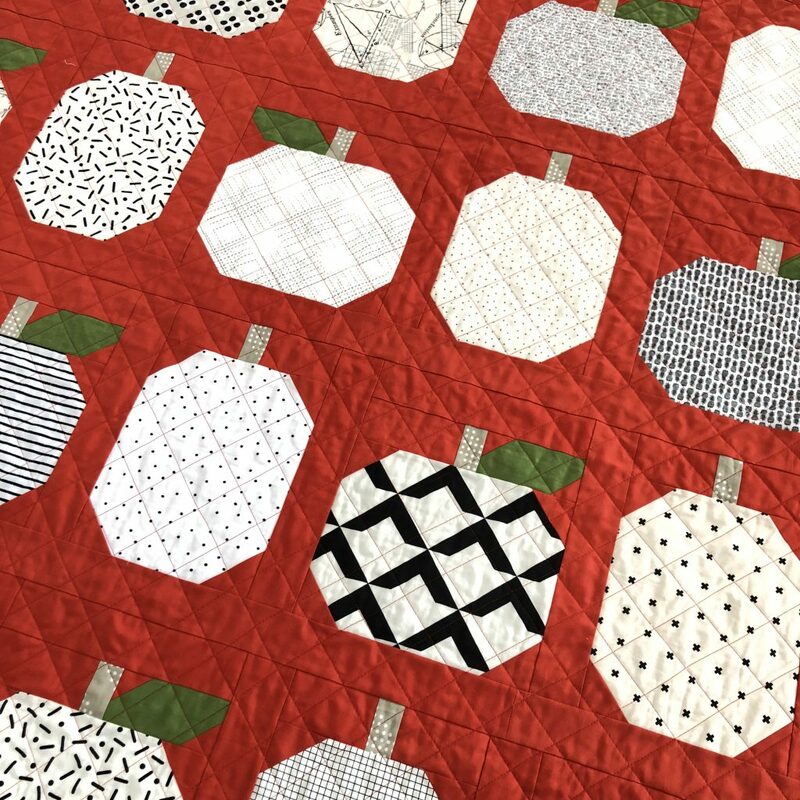 Kaitlyn of Knot and Thread quilted it in this perfect loop. I wanted something that would give it a nice overall texture without taking away from the awesomeness of the blocks Lindsey designed. 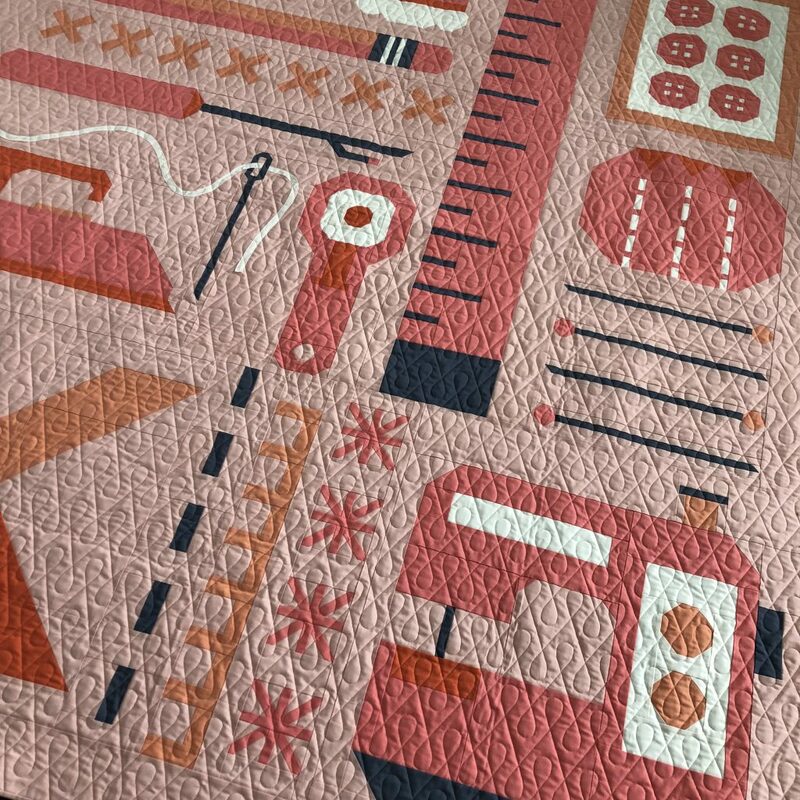 I backed it in one of my favorite prints of all time, Rosa from Rifle Paper Co.’s debut line for Cotton + Steel. The colors are a perfect match! I’ve really been loving rounded corners lately and couldn’t help but round these corners as well. Since the curve is pretty gentle, I don’t find that I need to use bias binding, which is always a win in my book! 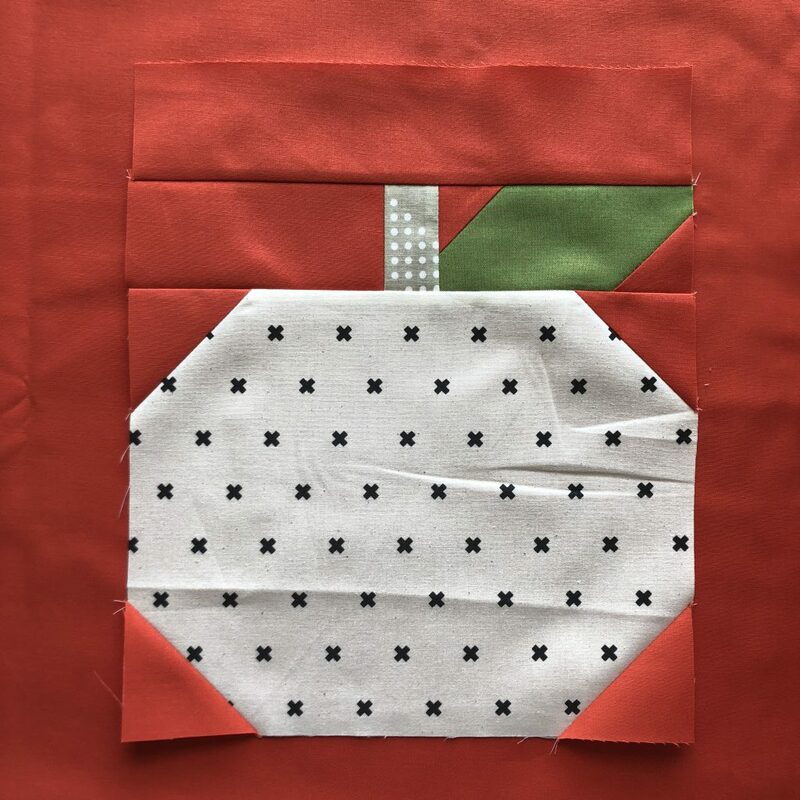 This July, Kairle Oaks and I hosted such a fun quiltalong that featured the traditional, beloved Churn Dash block. It took me awhile to get my act together and actually finish my quilt, but once I did, I wished I had done it sooner! 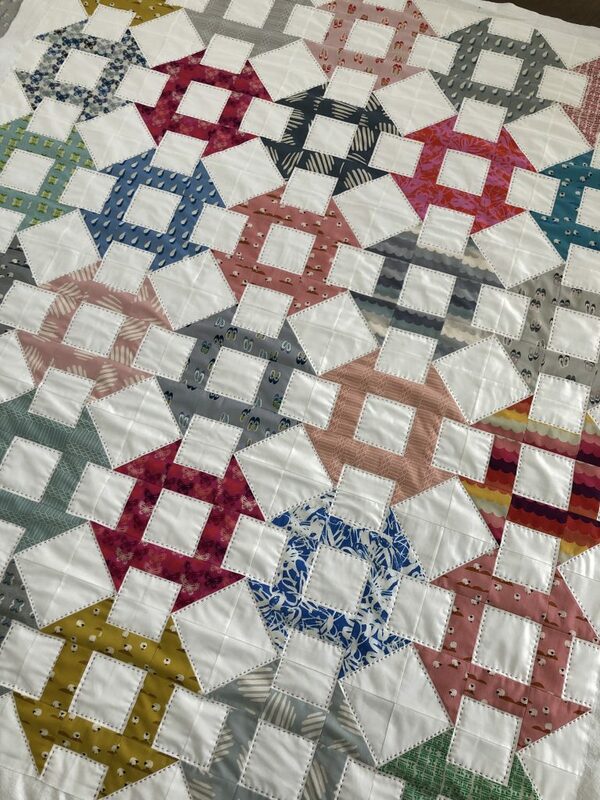 It is so much fun to see these blocks pop with the hand quilting. It has been on our couch since the minute it was finished being bound and washed. My boys love finding the cute sheep blocks and looking for all of the other fun prints from the Panorama Cotton + Steel fabric line.